We all know that eating organic is essential to reduce the amount of pesticides and other toxic chemicals in our bodies. So if you live right next to earn organic farmers market or grow all your own produce in your back garden, you’ll be fine. But very few of us out there are actually able to buy everything organic. And this is when 2 nifty lists come in: the Dirty Dozen and the Clean 15. 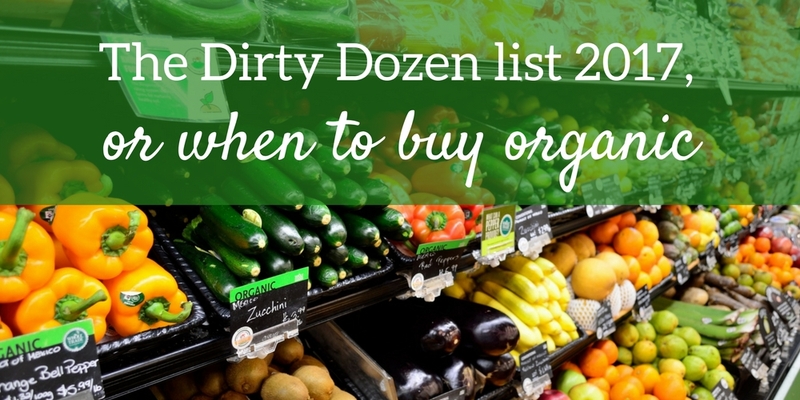 The Dirty Dozen is the list of the 12 most toxic fruits and vegetables. This list is compiled every year by the Environmental Working Group (EWG). Luckily for us, they also publish a list of the Clean 15, i.e. the fruits and vegetables containing the least pesticides. 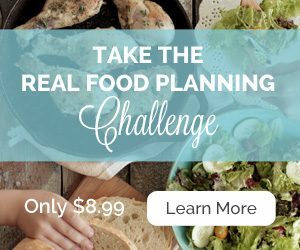 Very useful when you want to eat as clean as possible, but can’t really buy everything organic. How are the Dirty Dozen and the Clean 15 lists established? They publish every year since 2004 the EWG’s 2017 Shopper’s Guide to Pesticides in Produce™. 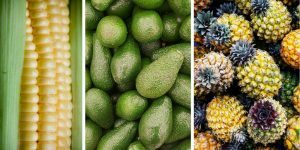 The guide ranks 48 popular fruits and vegetables from the most contaminated to the least. The results are based on more than 35,200 samples tested by the USDA and Food and Drug Administration. Their aim is to inform the public of the dangers of toxic chemicals around us and to help consumers make better choices. The samples tested were first prepared for consumption. That means washing thoroughly the fruits and vegetables and peeling them if needed, as you would at home. So the residues found would be present in the fruit or vegetable as you and I would eat it, with no way of removing the pesticides. Over the last century, agrochemicals have allowed crop yields to more than double, in line with the population increase in the world. Although the increase in food production happened at the right time to feed the ever-increasing world population, this came at a price. The use of fertilizers and pesticides increased sharply over the last few decades and doubled every 10 years. They have now become a necessity for farmers everywhere in the world. This has an impact on the environment, ecosystems and human health through consumption. Agrochemicals can have a direct impact on babies and young children. Babies and young children are particularly sensitive to these toxic residues. Parents have long been advised to feed their children healthy clean produce as much as possible. Some pesticides are banned in Europe after linking them to behavioral disorders in young children. 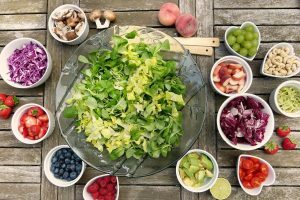 In 2017, the EWG found that almost 70 percent of the ready-to-eat samples contained residues of pesticides. They identified traces of 178 different pesticides and pesticide degradation products. 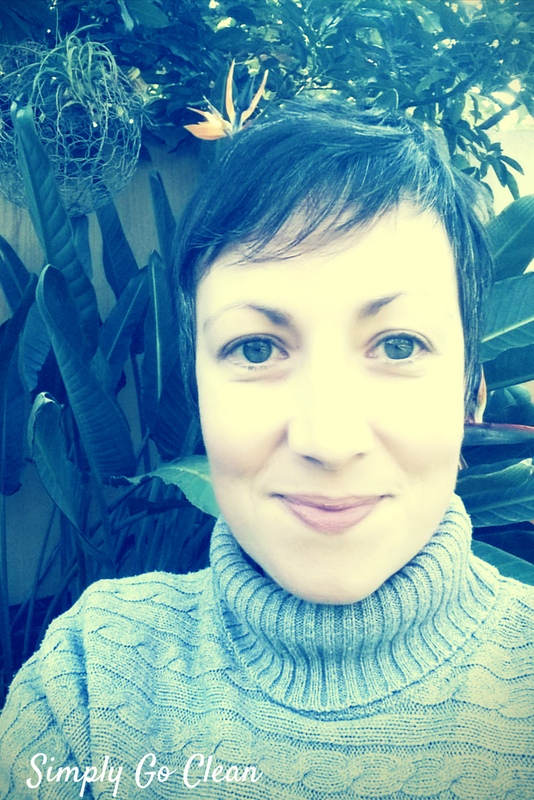 In an ideal world, we should all be eating organic produce. To reduce our intake of residual agrochemicals and to protect other living species affected by them. But not everybody can afford the higher prices of organic produce. Or lives near a well-stocked organic farmer’s market, for that matter. Fortunately, some fruits and vegetables tend to need less and retain fewer petrochemicals. So the end product is pretty much of the same quality, whether grown organically or not. This is where these two lists come in. They can help you identify which fruits and vegetables you should buy organic, and which ones you can buy just about anywhere without fear. These are the fruits and vegetables that you should always try and buy organic, particularly if babies or children will be eating them. 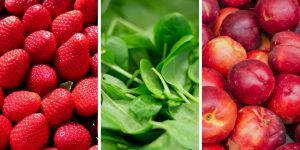 Note – the EWG noted that almost every single sample of strawberries, spinach, peaches, nectarines, cherries and apples they tested contained pesticide residues. So these should definitely be top of your organic priority list. Spinach is the produce that holds the most residue per weight, on average twice as much as the other fruits and vegetables. These next fruits and vegetables contain the least amount of pesticides. If you can’t afford to buy all your produce organic, these are the ones that you can safely buy even if they were grown through conventional methods. * A small amount of sweet corn, papaya and summer squash sold in the United States is produced from genetically modified seeds. Buy organic varieties of these crops if you want to avoid genetically modified produce. Source – EWG. Eating more fruits and vegetables is key! Eating plenty fresh fruits and vegetables, as raw as possible, is still better than none. So don’t let the lack of availability or the higher price of organic produce stop you. Try to replace the most toxic ones with others further down the list. And always aim for seasonal, locally-produced fruits and vegetables. If you can, find local farmers and talk to them to know how they grow their produce. Those will not have spent too long in storage and transport. They are thus likely to be more nutrient-rich than out-of-season imported produce. How to best store your fresh fruits and vegetables?